In a disgusting and yet another shameful incident, a man was caught masturbating next to a 26-year old TV journalist on Tuesday night, around 9:15 pm. The woman was coming to her home in Sangam Vihar, after work, from Kapashera. She took a cluster bus, operating on route number 517. The woman caught the man red-handed herself. The accused has been identified as Mukesh Ranjan Kumar, who works for a tent operator. Now he has been charged for molestation, said the deputy commissioner of police (South Delhi), Vijay Kumar. He was taken under custody by the staff of police control room van that intercepted the bus near Andheriya Modh last night. According to the woman, she was sitting on a seat reserved for women. Then the man came, stood very close to her and began staring at her. Then he started fondling himself. 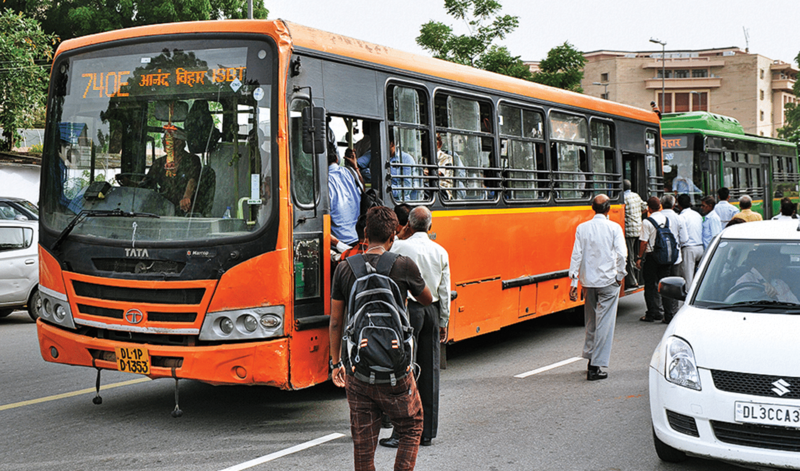 When she tried to give him a warning by staring back at him, but he allegedly unzipped himself, pulling out his private part when the bus reached somewhere between Vasant Kunj and Chhattarpur. The woman also said that no passenger on the bus tried to help her out or to stop the man; the bus was full. In fact, one fellow passenger tried to stop the woman from hitting the accused when she caught him masturbating. She told that the one man who did try to intervene later refused to be a witness. The woman then took the task in her own hands and took out her slippers and beat the molester. She then dialed the number of police control room. Cases of public molestations, especially on public transports, against women, have also increased rapidly in the city. Earlier in February too, a middle-aged man was caught masturbating next to a Delhi University student, 21, who also made the video of him committing the act. She had reported the incident and submitted the video to the police.